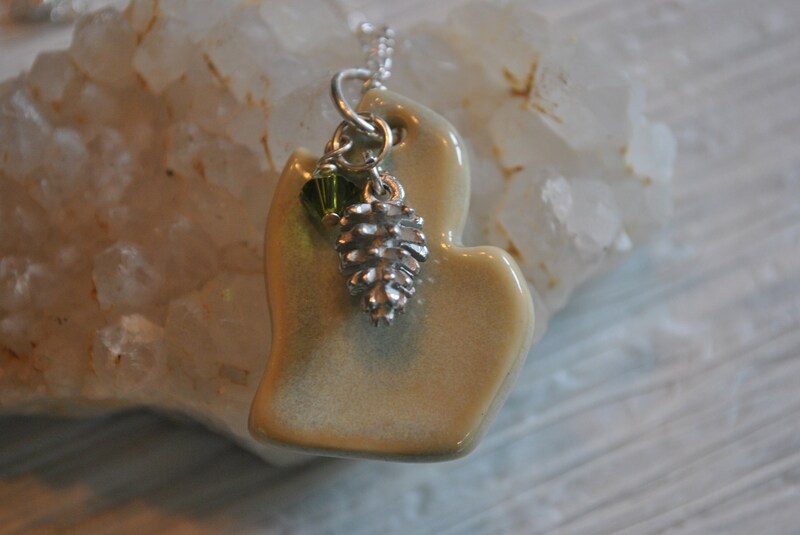 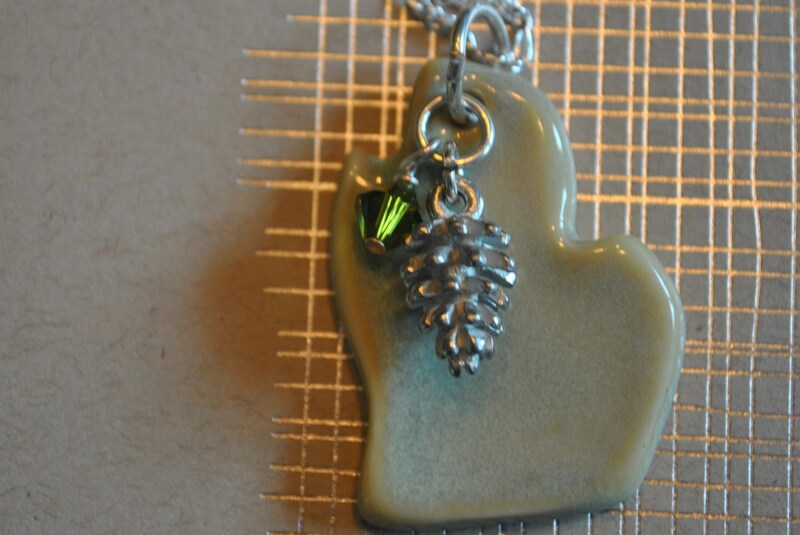 Handcrafted ceramic Michigan pendant with olive green Swarovski crystal and pewter pine cone charm. 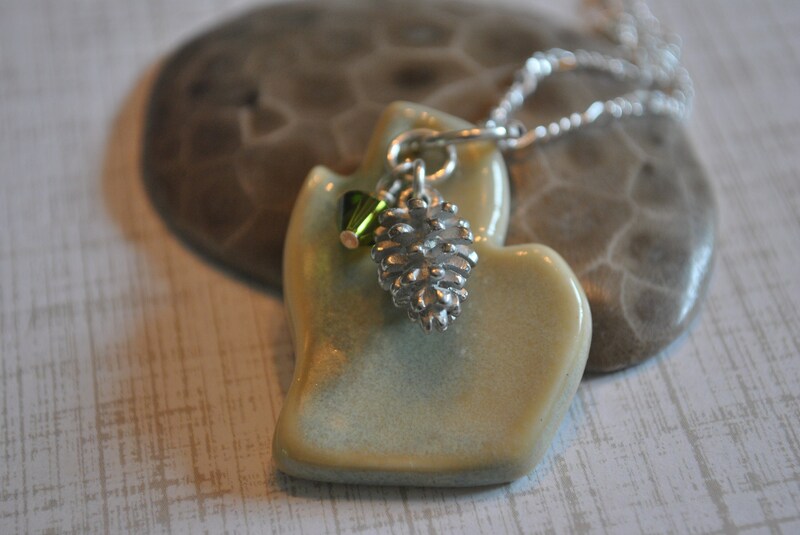 Sterling silver necklace. 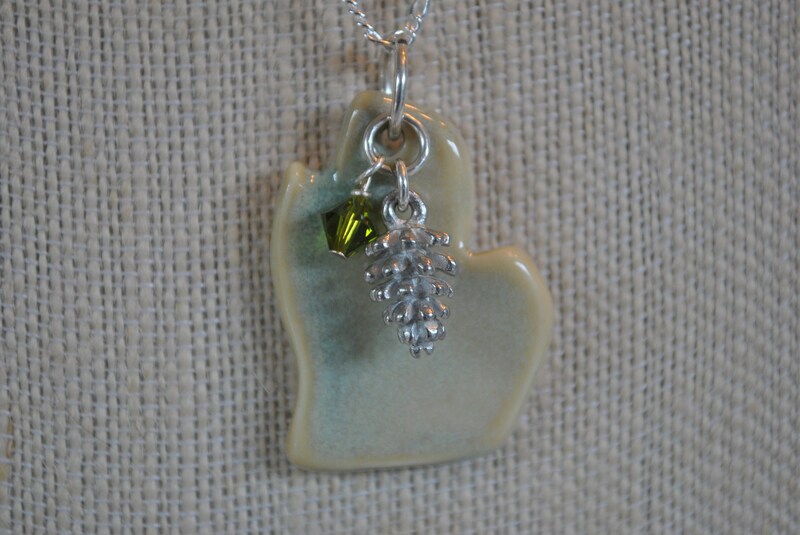 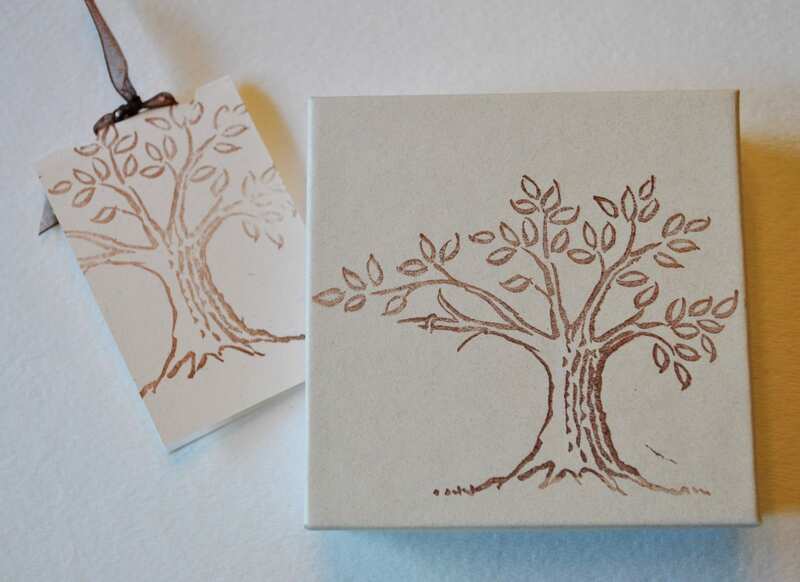 Celebrate Northern Michigan and it's gorgeous forests!